Regardless of how prepared a woman is or how much she looked forward to her pregnancy and her baby's birth, the perinatal period may include some unexpected "highs" and "lows." Footsteps is a weekly postpartum support group sponsored by Project Motherpath, which is offered on Thursdays at The Gathering Place. Every week. Every Thursday. For you. Thursdays is Footsteps. Every Thursday from 11:00am - 1:00pm. For almost eight years now. Since before there was an us, and before there was place we gathered, before The Gathering Place, there was Footsteps. A group for mamas to BE postpartum. Before there was a Biscayne Blvd building, when it was just in a little two room space in the design district, there was footsteps. And now, that it's in a cozy classroom inside of Magnolia Birth House, it still is, Footsteps. 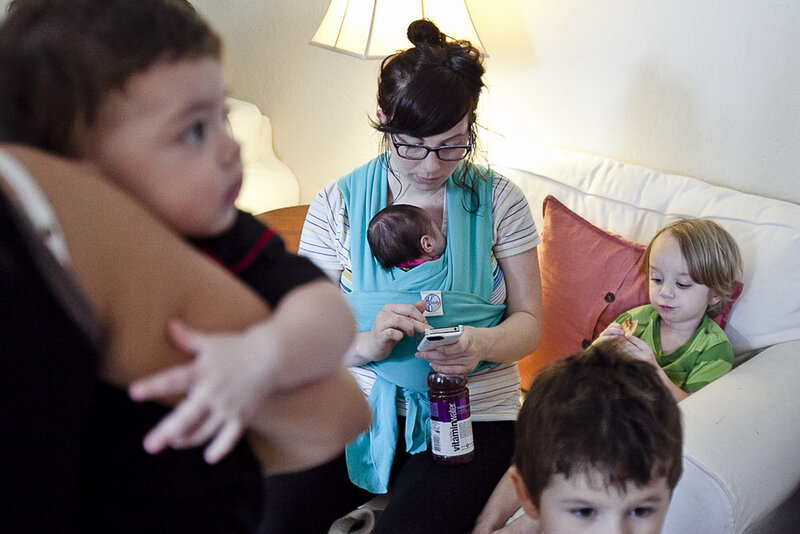 A group, that's free, for moms to BE, together. Before we had grand ideas and big dreams. Before we hosted green baby fairs and big latch ons and great cloth diaper changes, before there was a doula service, and birth center, before us, there was Footsteps. Whether it was once a month with bottles of hoppy beer and freshly made beignets or once a week with babies on cushions between a bevy of wooden toys, there was Footsteps. Then it was just led by us, now it's facilitated by an awesome volunteer team of mama-psychologists. But it's still free. And it's still for moms. And you're STILL welcome. At the heart of everything we have ever done for pregnant and parenting families in Miami is Footsteps, and its foundational idea that there should be a place to gather, and be supported. And be heard. And be seen. In all your fabulously perfect imperfection. And be accepted anyway. So if you're looking for a place, to be. With other mamas. Come to Footsteps. It's still here. Every week. Every Thursday. 11-1. For you. Completely free. Every week. Our group is facilitated by a trained therapist (Rachel Ferdowski of Nicole Valdes Phd. and Associates P.A.) and operates under a peer support model. Babies in arms are welcome.